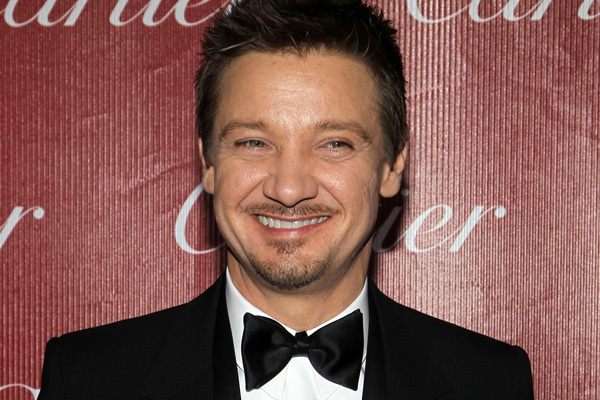 Jeremy Renner is all grown up! After having a huge year in Hollywood, Renner turns 43 years old today. Let’s see how he’s been doing this past year. Like a truly magnificent wine, Jeremy Renner is more splendid with age. The actor hath turned 43 today, and we dare say these years have been kind to him. Who can possibly disagree? This past year, Renner appeared in Hansel & Gretel: Witch Hunters, The Immigrant and American Hustle, the latter still carrying the possibility of a third Academy Award nomination. The actor also welcomed his first child, Ava, with girlfriend Sonni Pacheco. We can only imagine what this year will have in store for this talented actor… Fingers crossed it’s an Oscar! 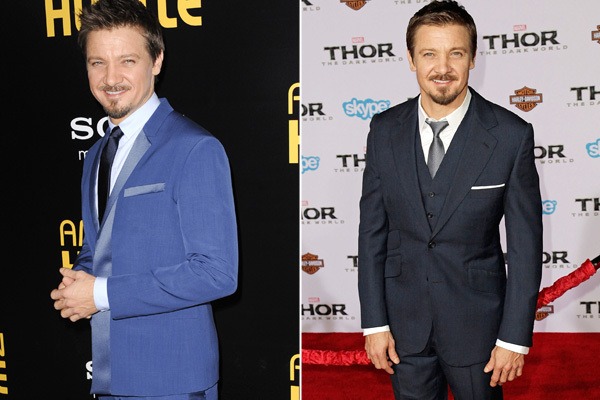 But since we’re mostly visual learners here and Renner is always smokin’ hot on the red carpet, let’s review his best looks in the past year, shall we? Attending Cannes Film Festival for The Immigrant, Renner looked all kinds of fine in a simple charcoal-grey suit. The actor was beautiful with that rugged do, looking like a cross between Jason Bateman and Colin Firth. No complaints here! Yet again, Renner showed off his cool side in a black suit with satin pocket detailing while attending the Independent Spirit Brunch in West Hollywood. The shades and slicked hair definitely completed this look. Hey, remember when he had blond highlights in his hair? We sure do. You’ve come a long way, friend. Somebody was spotted working a ’70s vibe at the premiere of American Hustle… Oh, it was just Jeremy Renner, looking amazing in a blue suit. Mother Nature was so generous to you, Mr. Renner. We like the departure from the anticipated dark suit and the detailing on the lapel. Plus, look at how cute he is! You have to applaud any man who can wear a three-piece suit without looking like a stuffy professor. Renner definitely pulled off this look, appearing even classier than usual, if that’s possible. Check out the fit of that bad boy! The man clearly knows what he’s doing. Renner has sure come a long way since his long-hair days and Keith Urban-esque streaks. He’s a man now! Maybe next year we can compile another photo roundup — we really wouldn’t mind.